James Cosgrove, Constable for Kisdon Parish, approached Aysgarth Manor with a heavy step, despite the promise of warmth inside. Investigating a murder was nothing he had time for, what with the demands of running Hemsly village’s one milliner’s shop, nor was it anything he’d expected to do when he’d been pushed into the position by the other prominent members of the parish. But now, here he was, with little idea what he might find inside the ancient manor’s stone walls. The place was bleak enough, occupying a high moorland with even taller fells rising behind, like brows beetling over a brooding face. The house itself was an ancient stone pile, with slits for windows gazing vacantly across the heath, now white with a cover of snow. There were few signs of life from within; the “castle,” such as it was, seemed closer to a ruin one might find in a travel guide than an occupied seat of a Baron and his family. And that Baron was now dead. The ride from the sheltered dale up onto the stark moors and thence to the manor should have taken an hour; instead it took two, his horse laboring through a foot of fresh snow. It was a wonder the boy they’d sent down to alert him hadn’t frozen to death. The boy had been nearly numb from cold when he showed up at Cosgrove’s shop just before opening, and was even now warming himself before the fire in the back room. No one came out to take his horse, so Cosgrove led it toward a hitching post near the stables. As cold as it was, he daren’t lead his mount inside, as half the stable roof had caved in long ago. Before he could reach it, two sheep dogs burst out of a ramshackle hut standing a short distance from the stable. They were the worst-mannered working dogs he’d ever seen, more like hounds, their barking causing his horse to rear. He nearly lost his grip on the reins, holding them in one hand and his riding crop in the other, ready to ward off the animals. Self-defense proved unnecessary, as an ancient man in tattered woolens emerged from the hut, shouting at the dogs, which obeyed him on the spot. Cosgrove guessed this was Potts, the manor’s shepherd, and its only resident. That was, until these last months when Baron Aysgarth had returned to his ancient family seat with his young wife and few remaining servants in tow, after having lost his fortune and his far more lavish estate closer to York. Cosgrove thought the Baron must have been as mad to return here as this shepherd was rumored to be. “I’ll see to ’im, sir,” Potts said, holding out his hand for the reins. Realizing he would get little out of Potts, the constable approached the manor’s entrance, which still showed no signs of life other than a wisp of smoke coming from a chimney at the back. He wondered whether he should knock, but seeing the great iron doors standing open a crack, he entered, calling into the house over the creaking of the hinges. The entryway was nearly as cold as the outdoors, lit only by the dim light of a clouded sky filtering through the high, narrow windows – glassless, of course, the wind whistling through them like the sighs of the dead. To the left was the great hall, filled with furniture that looked to be from Queen Elizabeth’s time; to the right, a library filled with dusty tomes. Nothing stirred in either room. He called out again. At last a door beneath the stairs leading to the upper floors opened, and the baron’s housekeeper, Mrs. Roberts, emerged, a cook’s apron tied around her waist. He recognized her from her shopping excursions to the village, always accompanied by one or two of the tough-looking men the baron hired as footmen. “Oh, at last, you’re here, Mr. Cosgrove. Such a terrible thing, but I’m not surprised, with the way…” Her voice trailed off, as if fearing to say more. “Gone, and Anna, that is, Miss Templeton, her lady’s maid, too.” Mrs. Roberts shivered again in the cold. Entering the great hall, Cosgrove saw what he had not been able to from the entry hall – the Baron’s body, slumped on its side between a divan and the fireplace. Next to it lay an empty glass tumbler. Betty had been correct in describing the pool of blood, for it had seeped into the rug over a wide area. He could not help stepping in it as he approached the body, the blood-soaked rug making a squelching sound under his boot. He nearly gagged at the coppery smell in the air, which produced a corresponding metallic taste in the back of his throat. Aysgarth’s face was as pale as – well, death, Cosgrove thought as he bent down to examine the body, then chided himself for seeing any sort of humor in such a situation. The baron’s hands were wound in a bloody, woolen scarf, and the hands themselves were deeply lacerated. But that couldn’t have killed him. Lifting the front of Aysgarth’s greatcoat – he must have come in from the outdoors, which was odd in itself, as the murder must have happened in the wee hours – he saw the main wound: a gaping hole in the Baron’s waistcoat. Everything from the ribcage down was a bloody mass. Gingerly, he rolled the body forward and examined the back – more blood, and a three-inch slit in the greatcoat. Cosgrove was far from an expert, but only a sword could have made such a wound. He straightened and looked around the room for the murder weapon. At last he looked up and saw what he hadn’t noticed before. Above the mantle was an ancient shield bearing the Aysgarth crest, with a single rapier mounted across it, where there should have been two. He stepped over to the mantle, taking pains to avoid the puddle of blood as far as possible, and examined the remaining rapier. The Aysgarth motto, “Fortem, Verum, et Fidelem” was engraved in the gleaming blade. He had been murdered with his own sword. And taken by surprise, as he was unarmed. The poor sot must have grabbed at the blade as it went in, trying desperately to keep it from going in deeper. Cosgrove shuddered at the thought. Looking down at the bloodied hands, he wondered about the scarf still wound about them – that, he couldn’t explain. And who had done it? Not the wife, surely? True, she was tall for a female, as he knew from the few times she had honored him with a visit to his shop. So she was the more likely of the two missing women to have been able to accomplish such a thing. But the thought of a woman forcing that blade past those desperate hands, gazing into her husband’s horror-filled face as she fought against him – no, he could not accept it, no matter what he had done to her. And Aysgarth was a large man, known for his brutality. A woman standing up to him? One of the footmen, more like. 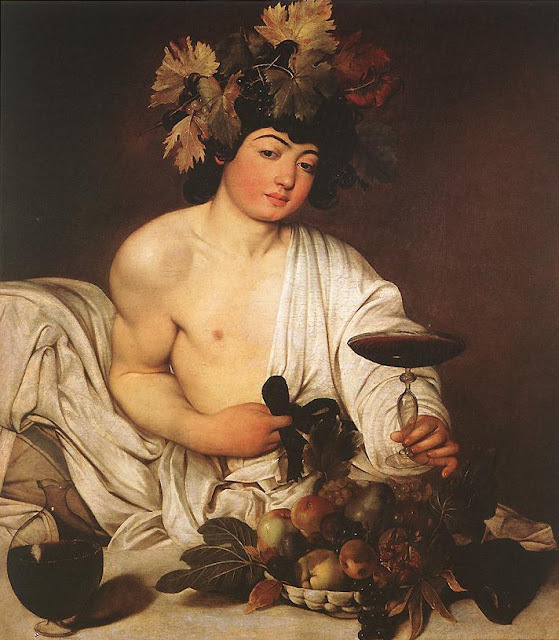 The Baron had a reputation for treating his servants poorly, and one of the men had probably had his fill. He still had Lady Aysgarth’s bedchamber to examine. Leaving the great hall, his eyes had adjusted enough to the dim light that he noticed something else he hadn’t before: muddy tracks leading from the entryway to the great hall. They weren’t his own, as his boots had been covered in snow, the tracks of which had hardly begun to melt. And now his boots were covered in blood, he saw as he returned to the great hall, retracing his own bloody bootprints leading out and the muddy ones leading in. He confirmed his guess: the Baron’s boots were covered in mud. Why hadn’t he noticed that before? At any rate, he now knew that whatever the Baron had been doing outside, any signs he had left were now covered in a foot of snow. Cosgrove made his way upstairs, reminding himself that he was just a shopkeeper. What was he doing, following tracks and examining the scene of a murder? Maybe the magistrate would send for the Bow Street Runners. But who would put up the reward? Aysgarth had no family, as far as anyone knew. The bedchamber the housekeeper had indicated was unremarkable, its most outstanding features a fine canopy bed and vanity. These furnishings must have been brought from Swanford, Aysgarth’s lost estate, they were so much more modern and luxurious than anything else in the castle. He soon found the blood, a small pool at the foot of the fireplace grate. And something else – a tuft of blond hair sticking to the grate itself. What had happened here? Some sort of struggle? But surely the Baron couldn’t have taken his wounds here and then managed to get himself down to the great hall. And the Baron’s hair was black, not blond. He examined the wardrobe and chest, both fully stocked with fine gowns and riding habits. Next, the vanity, covered with all the accoutrements of womanhood: a hand mirror, brushes, various bottles and jars of perfume and ointments. In a drawer, he found a jar of goose grease, which he thought rather odd. Only one thing seemed missing. Next to the vanity’s mirror stood a holder for a small picture – empty. Just the type of possession one might grasp when fleeing on short notice, with little or no baggage. Seeing nothing more to be learned in the bedchamber, Cosgrove returned to the kitchen, where he found the four remaining servants: Mrs. Roberts, Betty (the maid of all work), and the two footmen, all sitting silently nursing dishes of tea. At least it was warm in this room, and the housekeeper poured him his own mug of the strong brew. “Did you find out what happened?” she asked, handing him the tea. “Please…” Cosgrove began, taking a tentative step forward. Fortunately, he didn’t have to further intervene, as Steele apparently thought better of himself and sat back down. Shaking of heads all around. “We was sleepin’, wasn’t we?” Steele said. Again a universal negative. Cosgrove paused to reflect, then remembered the hair. “What color was Lady Aysgarth’s hair?” He’d never known, as she had always worn a bonnet on visits to his shop. “Brown,” said the housekeeper, perplexed. “Run off with her ladyship, o’ course,” said his superior. Two hours later, Cosgrove had learned much. Betty knew nothing other than what she’d seen that morning – a glimpse of her master’s body lying in a pool of blood. And that he was a tyrant to both wife and servants. Mrs. Roberts only confirmed this assessment with greater vehemence. After hearing of the abuse, the drunken rages, the goings-on with servants and village girls, Cosgrove almost wished that he’d been the one to run the Baron through. The women vouched for each other, as they shared a single bed in the servants’ quarters. The footmen told a different story. Aysgarth had looked after them and paid them well, at least until his fortunes had fallen. They were unlike any footmen Cosgrove had ever met, with the manner more of stable hands or laborers than servants expected to wait at table. But they both seemed to admire their master for the same ruthlessness that had so cowed the women. Like them, each footman swore the other had not left their shared room all night. The insinuations Steele made about Lady Aysgarth and her lady’s maid, Cosgrove hardly cared to remember, much less credit. The ruffian made entirely too much of a noblewoman sharing her bed with her lady’s maid on a cold night, a practice with which he could hardly be unfamiliar, considering his class, in which two to a large canopy bed would be considered a luxurious degree of spaciousness. But the accusations the man made against the pair defied belief, and the vulgarisms he employed in doing so defied decency. Could the two have ridden away on one horse? It seemed possible, especially if Lady Aysgarth were an expert horsewoman, and more so if they were desperate to get away. But that tuft of hair misgave him; he feared there had been no need for riding double. The old man’s face screwed up in concentration. “Let’s see. First, I awoke to the sound of someone banging tools about in the shed.” He gestured to a lean-to structure attached to the stables. The shepherd laughed. “Only one direction, I’n’t there? 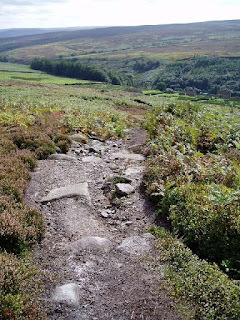 Down.” He pointed to the single track leading down toward the dale. Seeing that he would get no more out of the shepherd, Cosgrove paused to consider what he’d learned. What had Aysgarth been up to in that shed? What kind of tools had he retrieved, and what had he done with them? He tried to put aside the suspicion that was growing in his mind, to little avail. The shed was not far from the shepherd’s hut, where he now stood. No tracks led to or from it; the fresh snow must have covered any traces Aysgarth might have left. Now Cosgrove made a circuit of the castle and the narrow bench on which it sat, looking for any irregularity in the smooth carpet of white powder. He found neither track nor hastily abandoned digging tool, yet the dark thought that had crossed his mind the instant Potts had mentioned the toolshed persisted. He had only one spot left to investigate – the shed itself. Inside, he found a jumble of implements of all descriptions. A shovel lay at the top of the pile, covered in dried, frozen mud – but the same could be said of many of the others. If there was a method to determine the age of this mud, he didn’t know it. Stepping outside, he considered everything he’d learned. What evidence there was pointed to one obvious conclusion, though he could not quite bring himself to believe it: one or the other of the missing women had impaled Aysgarth with his own sword, and then Lady Aysgarth had ridden off, either alone or riding double with Miss Templeton. But perhaps this conclusion was too obvious. Perhaps one or both of the footmen were involved. But if so, why had they left the Baron’s body to be discovered? His head was spinning. This was a job for Bow Street, not a country constable. He returned his notebook to its pocket, determined to turn over all the evidence to the magistrate, and let him decide how to proceed. His mind somewhat relieved by this decision, Cosgrove turned to the onerous task of getting the servants down off the moors without them coming to blows. A week later, an officer from Bow Street was in Cosgrove’s shop. 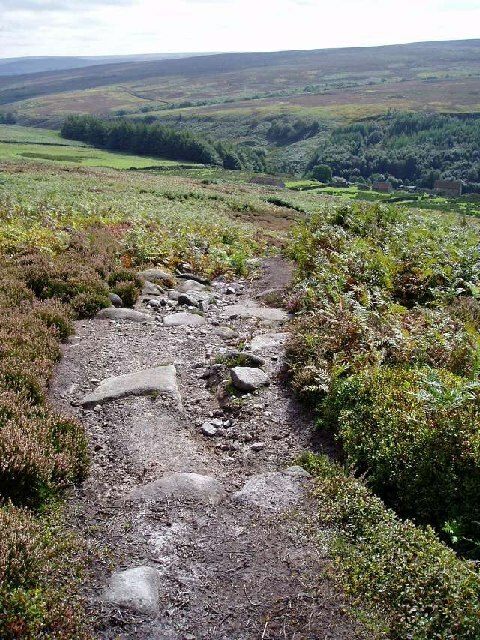 No member of Aysgarth’s family had been located to offer a reward, but the Home Office had seen fit to assign a runner to the case, given the political situation in the country. It might be a simple domestic dispute, but any sort of French-inspired anti-aristocratic motives had to be ruled out. 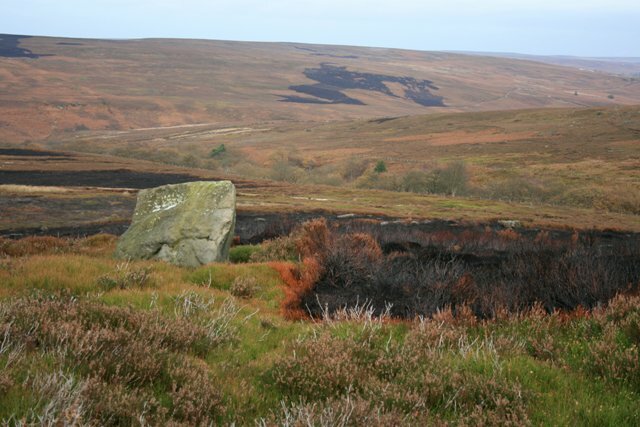 Of all the counties in England, Yorkshire was known to be among the most ripe for rebellion. The Bow Street runner, Bickersley, glowered at him over the counter. “What did you think you were doing up there, man? Tracking blood all around the crime scene, tramping the snow so we couldn’t tell who’d been where.” The weather had stayed cold all week, and no new snow had fallen, so Cosgrove’s own tracks were still plain to see, along with those that had been left in hitching the carriage horse to the curricle and saddling the Baron’s mount for the journey off the fell. Bickersley’s confidence proved ill-founded, however. Lady Aysgarth’s trail went cold in Doncaster. She had purchased a seat on the Edinburgh coach, but no one could remember her boarding. But neither had she purchased a seat on any other coach, nor could any of the drivers on any of the other coaching routes remember a woman fitting her description. Enquiries at the main coaching inns between Doncaster and London proved equally fruitless. Strangely, her horse was never found. Lady Aysgarth had disappeared as thoroughly as if swallowed by the fog that regularly shrouded the moors. Neither could any trace be found of Miss Templeton. But come March and the arrival of warm southern winds, Cosgrove – having proved unable to foist his position onto another gullible volunteer – kept his eye on the thaw. When the snow had retreated to the highest fells, he made his way through the spring muck to Aysgarth Manor. It didn’t take him long to find a disturbed patch of earth on the side of the manor away from the stables, hard up against the steepening fell. It had the look of a grave, though whoever had dug it had been wise enough to scatter the extra soil about, rather than mounding it, leaving it undetectable under a carpet of snow. He returned a day later, in the company of the magistrate, a doctor, and the village gravedigger. In a short time, the latter fellow had unearthed a body wound in a sheet. When the doctor undid the wrappings, he found the body well-preserved, as it had been nearly frozen for the preceding three months. When Cosgrove had done emptying his stomach in the drab heather, he was able to attend to the doctor’s cursory examination. The body was that of a woman, slight of frame and with blond hair, wearing only a nightdress. In a moment, the doctor stated a preliminary cause of death: a crushing blow to the back of the head, likely due to having fallen against the grate where Cosgrove had discovered the blond hair. Without a doubt, this was the body of Miss Anna Templeton. How she had come to fall against the grate would remain a mystery – at least until Lady Aysgarth could be located and questioned. Nothing else was remarkable about the body, save the one bit of adornment Miss Templeton wore about her neck: a locket, containing a single tuft of light brown hair. In this unsolved state the case remains to this day, Lady Aysgarth having never been found. 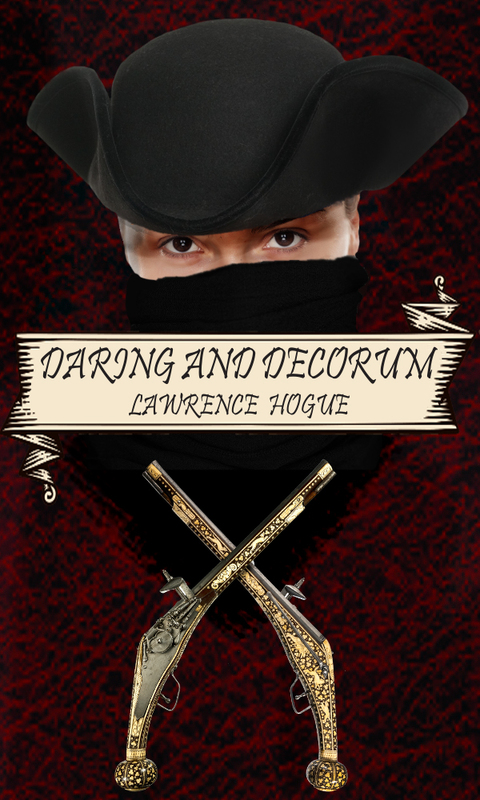 However, readers wishing to learn the secret of the Aysgarth murders will find all their questions answered in a new novel, Daring and Decorum, due out August 1 from Supposed Crimes. Twenty-year-old Elizabeth Collington, the proper and obedient daughter of a Devonshire clergyman, believes herself beyond girlish romances. But when a highwayman steals a kiss, along with her departed mother's necklace, Elizabeth experiences feelings of which her father would never approve. Soon after this unsettling event, a young widow arrives in the village, catching Elizabeth by surprise as their friendship advances quickly to the deepest intimacy she has ever known. Yet the highwayman will not leave her alone, filling her mind with ideas of revolution and her body with sensations of the greatest impropriety. Amidst this swirl of conflicting feelings, Elizabeth hardly has time to consider Anthony, son of the neighboring Earl, whose halting courtship holds out her one slim chance at an establishment in life. Will Elizabeth choose the conventional path, honoring her duty to her father and safeguarding her reputation? Or will she follow the demands of her heart, pursuing a love even less proper than that for a highwayman? Lawrence Hogue's writing is all over the place and all over time. He started out in nonfiction/nature writing with a personal narrative/environmental history of the Anza-Borrego Desert called All the Wild and Lonely Places: Journeys in a Desert Landscape. 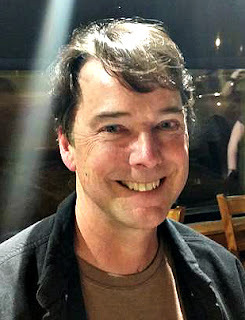 After moving to Michigan, he switched to writing fiction, including contemporary stories set in the desert and fanfiction based on the videogame Skyrim. He’s a fan of folk music, and got the idea for Daring and Decorum while listening to Loreena McKennitt’s outstanding adaptation of Alfred Noyes’ poem, The Highwayman. When not speaking a word for nature or for forgotten LGBT people of history, he spends his white-knighting, gender-betraying energies on Twitter and Facebook, and sometimes on the streets of Lansing, MI, and Washington DC. He's been called a Social Justice Warrior, but prefers Social Justice Wizard or perhaps Social Justice Lawful Neutral Rogue.